From affordable wireless inkjets for the home or office to remarkable 3D printers capable of conjuring objects out of thin air, Currys PC World has a broad selection of models to suit all your printing needs. Browse the latest models from top makes including Canon printers and Epson pirinters and find a printer that perfectly matches your requirements, whether you’re looking for exhibition quality A3 printing, built in faxing or a cheap, simple printer for everyday use at home. Incredibly affordable models like the Canon Pixma MG2450 All-in-One Inkjet Printer offer compact, easy to use design and compatibility with economical ink cartridges to ensure your printing costs are as low as possible. 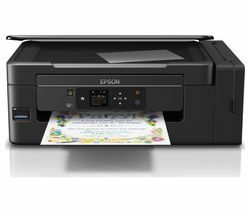 If high speed, large volume printing is a priority then laser printers like the Brother DCPL2500D All-in-One Monochrome Laser Printer - which prints 26 pages per minute – or the highly efficient Epson WorkForce WF-2660 DWF offer speed and quality at an affordable price. 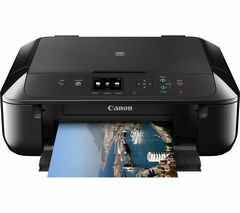 High quality networkable printers include the HP Officejet Pro, which offers 2400 x 1200 dpi print resolution – suitable for brochures and presentations – 36 page a minute high speed printing as well as brilliant network connectivity including access via HP ePrint, Wireless Direct, Google Cloud Print and Apple Airprint. Look no further if you’re after a high performance office printer that will take all your day to day printing tasks in its stride.